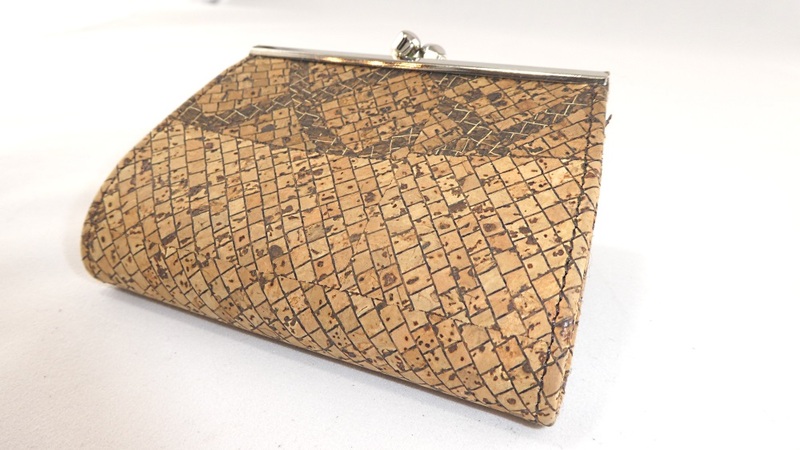 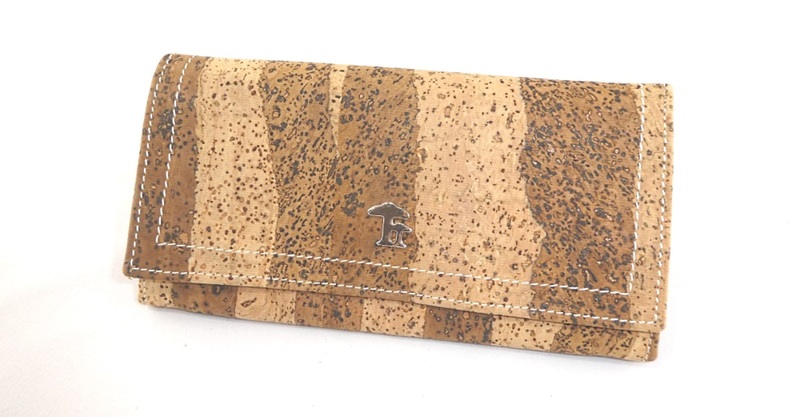 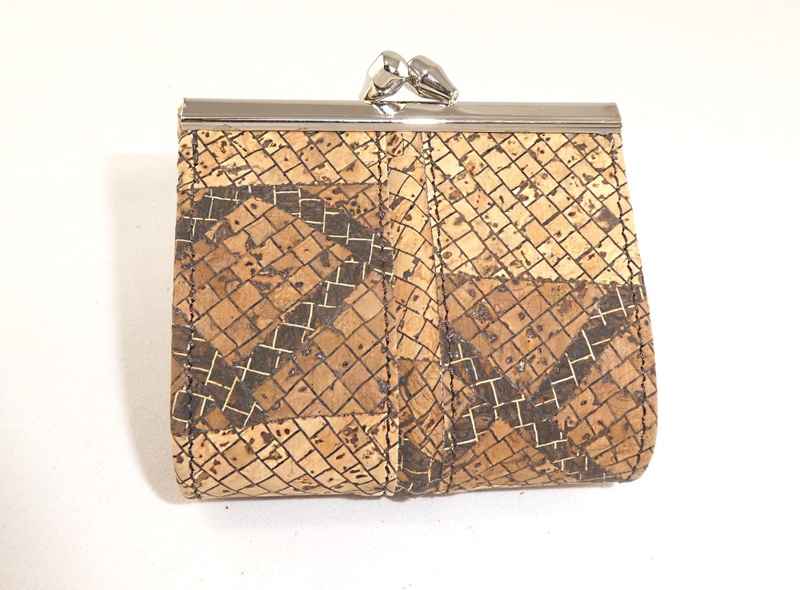 Classic woman purse made of cork fabric with a visor and snap closure. 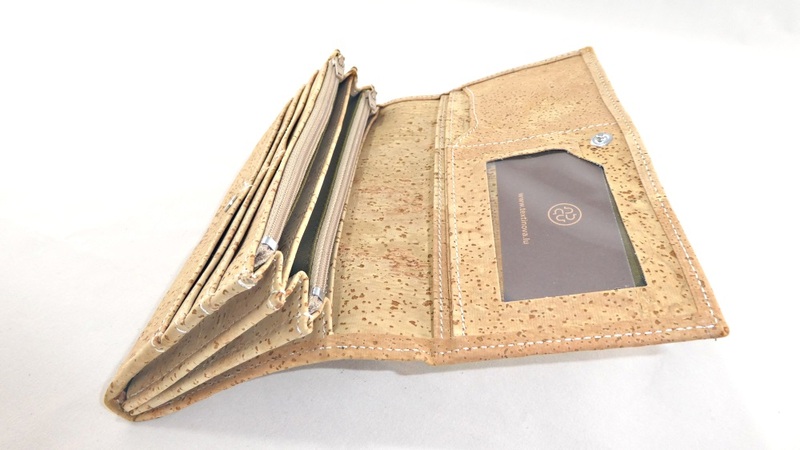 Inside, has a credit card slot and notes. 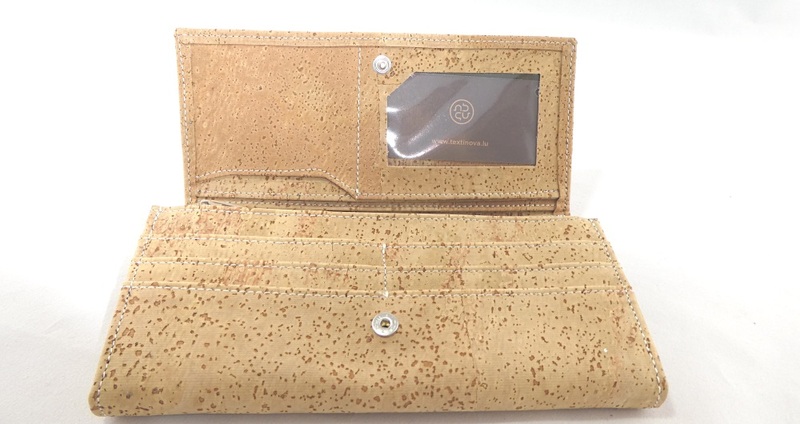 Inside has a coin purse. 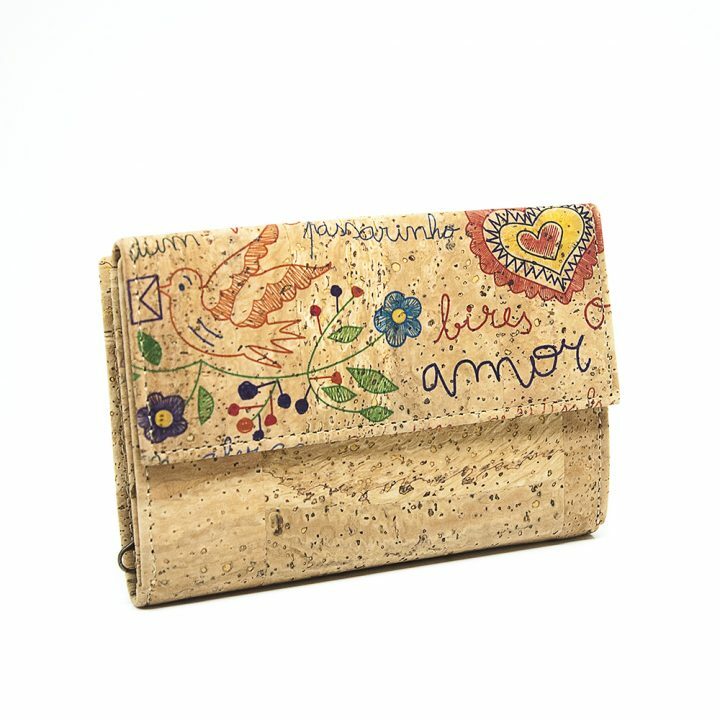 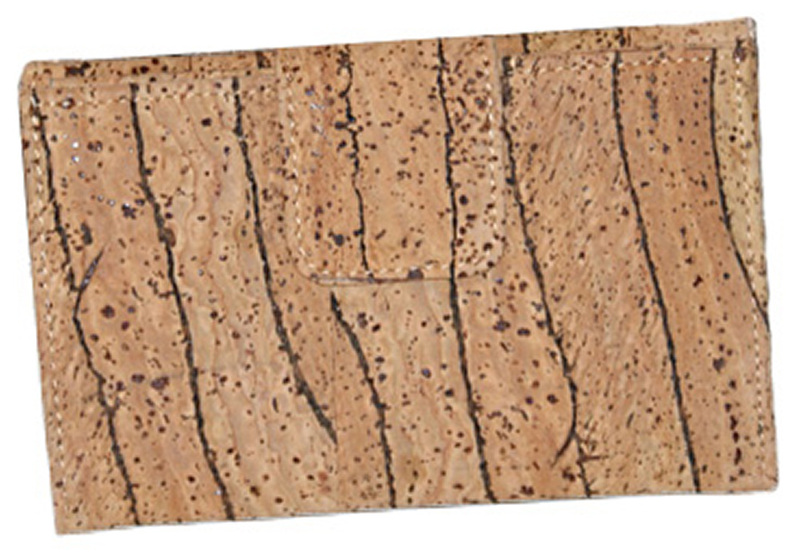 Protect the Nature – Think Bio – Buy Cork !